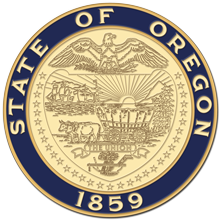 Salem, OR—Governor Kate Brown will visit Ontario, Bend, Medford, Eugene, and Portland today and tomorrow to ceremonially sign House Bill 2017 and celebrate the passage of Oregon's landmark transportation funding package. The $5.3 billion, 10-year investment in roads, rail, bridges, and ports is the state's largest and most comprehensive transportation package, earning bipartisan Legislative support this past session. While creating 16,000 construction jobs, these infrastructure improvements help businesses grow and get goods to market more quickly, and will keep Oregon moving. "This transportation package is a roadmap to Oregon's future," Governor Brown said. "Not only will this package improve the safety and condition of our roads and bridges, it will support thousands of family wage jobs and help local business get their goods to market more efficiently. "For the first time, Oregon will have a dedicated source of funding for transit, which can be a vehicle out of poverty for many working families. I appreciate the determination of Legislators and the business community to work toward this shared vision of improving the economy of Oregon, while affirming our commitment to innovate, tackle climate change, and build a more resilient state for future generations." Today, Governor Brown is beginning her five-city transportation tour in Ontario, where she last visited in February to meet with onion producers impacted by severe winter storms. Governor Brown secured federal aid to assist with storm recovery, and HB 2017 dedicates over $1.4 million in road and transit investments for Ontario and the Malheur County area. Most significantly, the transportation package includes $26 million for an intermodal freight facility in Malheur County. An intermodal freight facility in the region will transfer goods moved by truck onto rail, allowing local agriculture products to move to market sooner, supporting economic recovery and job growth. Later today, Medford's Rogue Valley Transit District will host Governor Brown for a bus tour and discussion on the importance of transit for students and the regional workforce. As the region grows in population, it also risks a rapid spike in congestion. Transit has offered an important transportation option for area residents, which helps increase capacity of existing roadways. Without increased transit funding however, the Rogue Valley will experience a 40 percent increase in travel delay by 2038. To address this, local and intercity transit is becoming increasingly important, and already, the Rogue Valley Transit District provides roughly 1.3 million rides each year. Thanks to dedicated transit funding in HB 2017, the Medford area stands to received $4.5 million a year to fund new transit services in the region. In Eugene on Tuesday, Governor Brown will meet electric vehicle (EV) manufacturers and dealers, local bike advocates, and Lane Transit riders. In addition to investments in transit and bike infrastructure, HB 2017 creates an EV Rebate Program to help reduce greenhouse gas emissions from the transportation sector, which accounts for almost 40 percent of greenhouse gas emissions in Oregon. The program is expected to accelerate EV sales and use throughout the state. Investments are prioritized for communities most disproportionately impacted by greenhouse gas emissions. Specifically, the Charge Ahead EV Rebate Program included in the transportation package provides financial assistance for low- and moderate-income Oregonians to replace older, less efficient vehicles with new or used EVs, which saves on fuel costs for drivers and will ultimately improve air quality. Governor Brown will end her statewide transportation tour at Portland Community College's Southeast Campus, recognized as the geographic center of the City of Portland. Congestion in the Portland-metro area impacts traffic throughout the entire state, and is only getting worse. HB 2017 includes investments in highway improvement projects in the metro region, as well as expanded transit service to keep Oregon moving. Half of all road funding will go directly to cities and counties to complete local communities' top road maintenance and safety improvements. Funding is also dedicated to complete additional sidewalks, bike lanes, and crossings near schools to help students get to school safely. Members of the media are invited to attend each of the five bill-signing events. If planning to attend or for further information, please contact Bryan Hockaday at bryan.hockaday@oregon.gov or 503-580-7836.